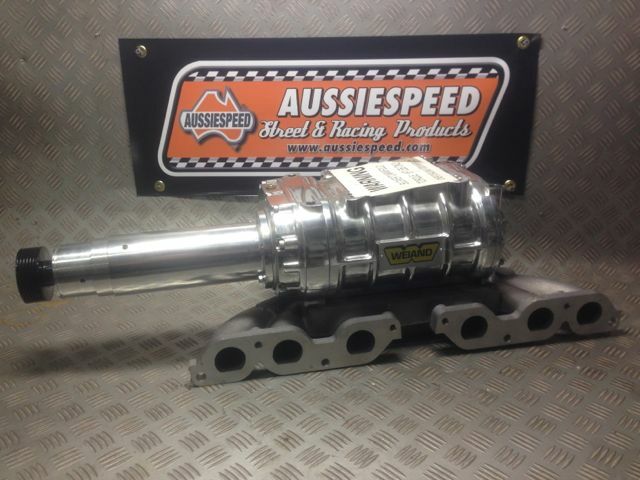 Aussiespeed have a range of Ford 6 cylinder performance and dress up for most engines in the 6 cylinder Ford range. 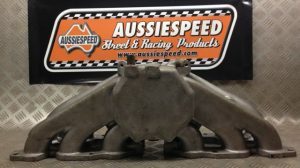 Extensive development has gone into the Ford crossflow alloy head Falcon and Cortina engine with Aussiespeed Performance Products playing apart of getting drives in the winners circle as running some of the fastest numbers in there classes. 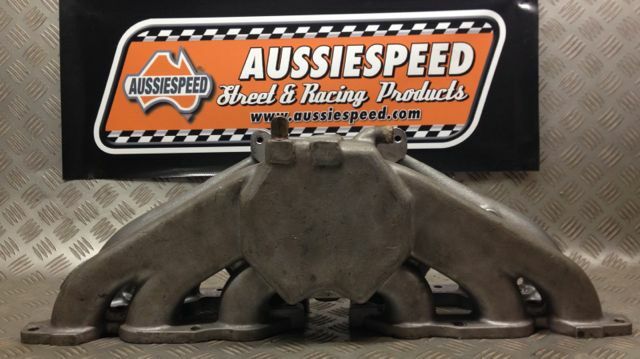 Aussiespeed 2V 250 4 barrel intake manifold, a great up grade over the factory 2 barrel inlet manifold when matched with other performance upgrades. 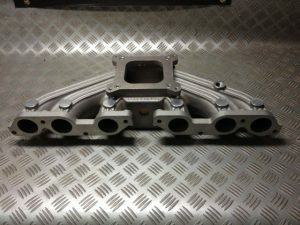 With tight fitment of the 2V engine to many engine bays we had to consider fitment as well as increased engine performance. The AS0011 Ford 4 barrel manifold is no wider across the carb pad and overall height is also lower. When the factory manifold is used with an adapter to fit a Holley the additional height makes air filter selection difficult. The AS0011 accepts Holley 4 barrel carbs from 390 squarebore upwards without the use of an adapter plate. 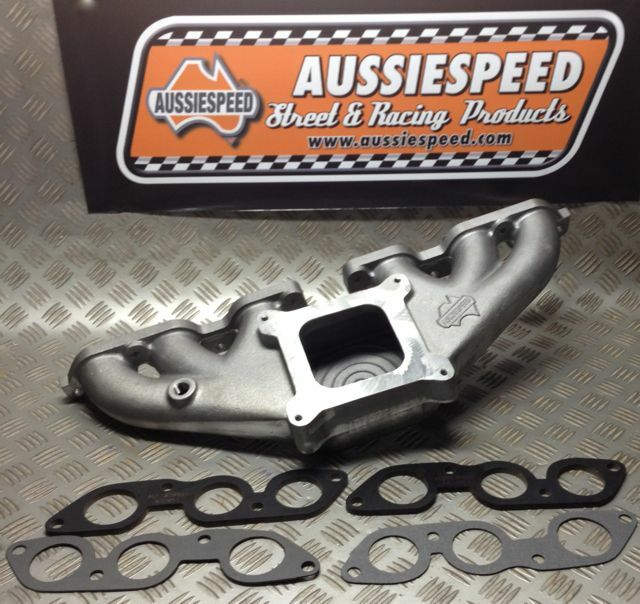 In mid 2014 Aussiespeed progressed further with the development of our supercharger kit for the Ford 250 engine. The new manifold can be used with a Weiand 142 or Weiand 144 Eaton m90 or Eaton m112. Aussiespeed have also developed an additional adapter to run multiple carbs on the engine also. 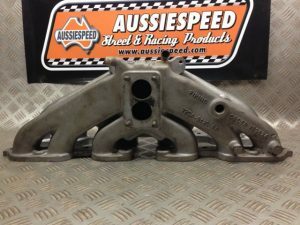 The manifold pictured is made in the USA for the alloy Ford 6 cylinder 2V cylinder head. 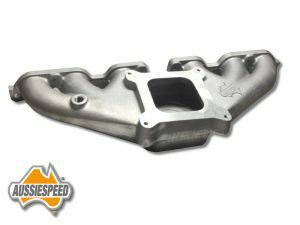 The intake ports for this manifold do not lign up with the standard Ford factory 2V cylinder head and requires modification on both the cylinder head and intake manifold. 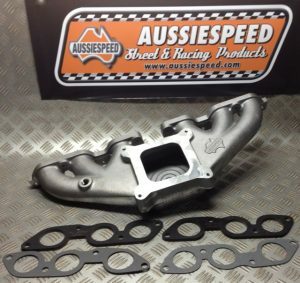 Aussiespeed also can supply the 6mm heat shield and intake gaskets for the 250 2V Ford engine. 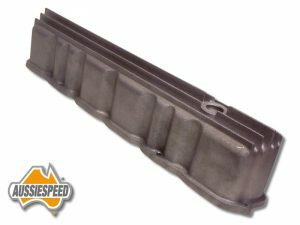 These along with our valve covers are available in our online store in the Ford 6 cylinder section. Aussiespeed AS0102 Ford 6 cylinder tall aluminum valve cover with front only oil filler, the raw cast aluminum finish allows you to apply your own custom finish. Aussiespeed AS0102P Version 1 was a hand polished tall aluminum valve cover with ultra tall fins. 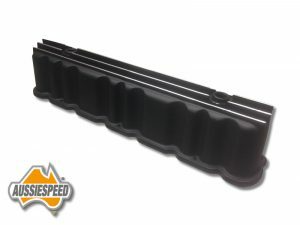 AS0102 in wrinkle black powder coated finish with satin finished fins, note this is the current version with oil filler and PCV fittings in the rocker cover. 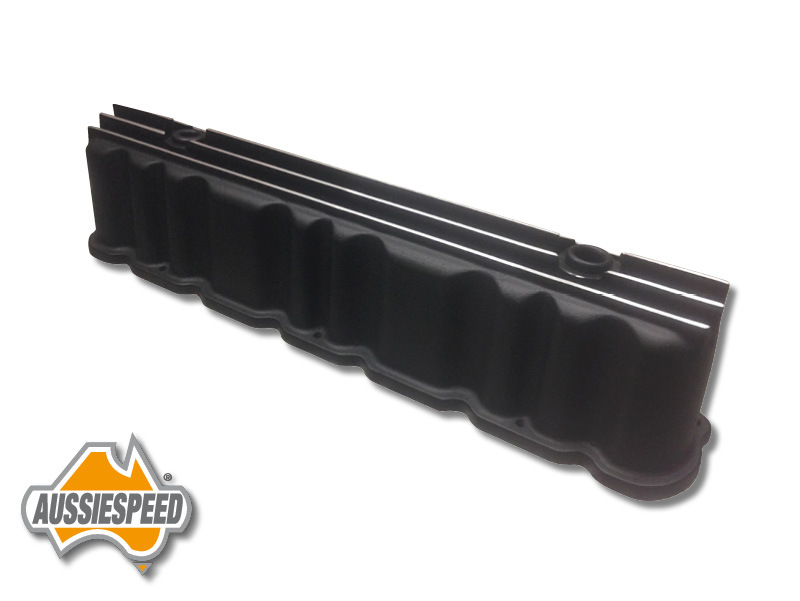 Aussiespeed alloy rocker covers are supplied with both front and rear rubber grommets. 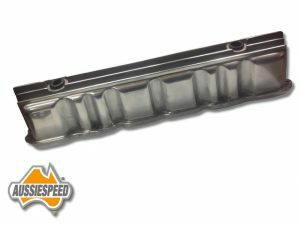 Aussiespeed Version 2, AS0102 Aussiespeed Ford inline six valve cover has both a front and rear breather.